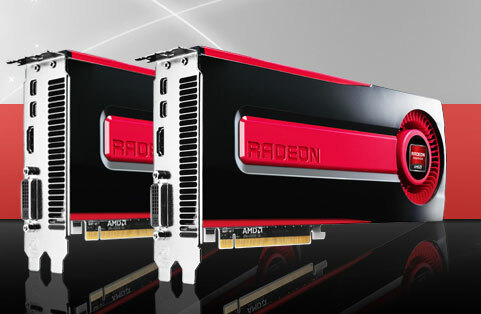 Various leaks of AMD’s upcoming Sea Islands GPUs have hit the web which include specifications of Radeon HD 8800 series GPUs and the successor to Sea Islands known as Volcanic Islands (Link). However there is still little known about the top end cards which fall under the HD 8900 series branding, but today thanks to a key source we have got the first details of the upcoming Venus based AMD Radeon HD 8970 and HD 8950 graphics cards. Previously, Venus was known by the Tenerife label but the latest Catalyst leak showed that AMD instead would use the Venus codename for its flagship HD 8900 series parts, Oland for HD 8800 series while Mars would be the codename for the entry level cards. The Venus lineup would consist of two GPU’s, the Venus XTX based Radeon HD 8970 and Venus XT/Pro (Still to be confirmed) Radeon HD 8950. While Oland has a die size of around 270mm2 featuring 3.4 Billion transistors, Venus would feature a die size of around 420mm2 with a transistor count of 5.1 Billion. The GPUs would still be manufactured on TSMC 28nm fabrication process. The Venus XTX (HD 8970)core would pack 2560 Stream processors compared to 2048 on Tahiti XT (HD7970), 160 Texture Units and 32-48 raster operation units. The Venus XT/Pro (HD 8950) would pack a core count of 2304 Stream Processors, 144 Texture Units but 32 ROPs. On the memory front, both GPUs would have a 3GB GDDR5 VRAM running across a 384-bit wide interface. The memory would run at 6GHz + frequency which would accumulate a bandwidth greater than 320GB/s. We still don’t have any key details on the core frequency but performance compared to Tahiti depends on the final clock speeds set by AMD, the new GPUs would come with Boost frequency out of box ranging above 1.05GHz value.The card would be powered by dual 8 Pin connectors and would support AMD ZeroCore idle power of 3W on board when non-operational. The cards would go under mass production by end of Q4 2012 and would be readily available in the first few months of 2013.